I’m lucky in that there are some pretty awesome running stores around me that host cool events. I met Jeff Galloway last month at one store, and also last month at a different one, I got to meet Abdi Abdirahman. He most recently ran New York Marathon and finished 7th overall and was the first American to finish. I didn’t know him prior to hearing about him through the Sole Sports Running’s event page, but when I saw he was a professional runner, I couldn’t pass up the opportunity to meet him and hear him speak. And let’s be real here, I could talk and listen about all things running all day! What stood out from the conversation was that he was a late starter. He didn’t actually start running til his late teens! I laughed when he said that running wasn’t a dream he had all his life and that it wasn’t like he’d always wanted to be a runner. A friend asked him for company on a run and the rest is history! 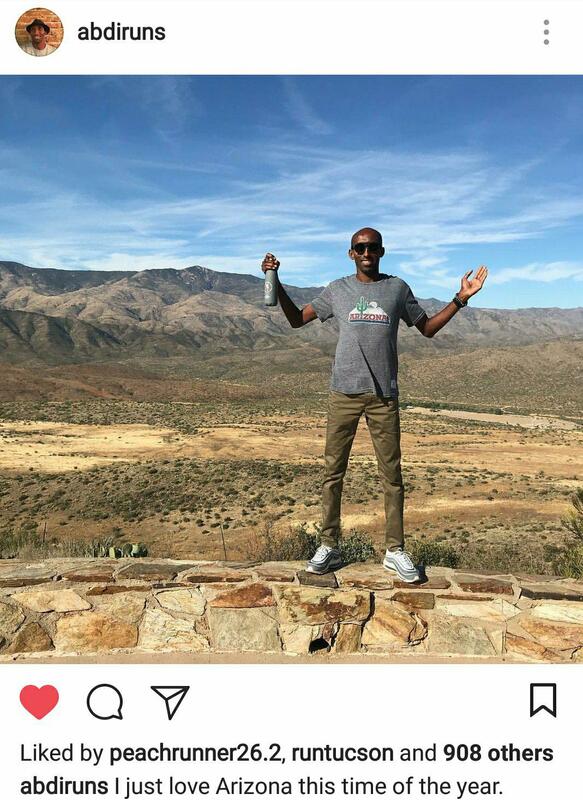 He’s an older runner, in his forties, and he said that although he respects and admires Meb, he likes beating him even more, lol! I was inspired by Abdi’s confidence; he repeated several times that despite his age, he feels like he still has a lot in him to compete at the high level. He was not satisfied with 7th place at New York (even though I thought that was pretty impressive! ); he finished 3rd last year in 2:11. 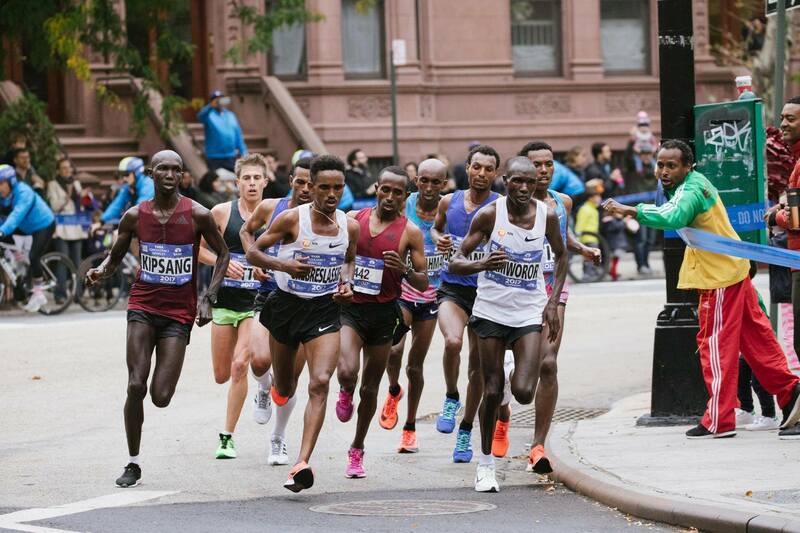 Abdi will be running Boston next year and joins a long list of pros I’m excited to see! You have it backwards…That guy is lucky he got to meet the famous Helly! You need to come run the Dallas relay with us next year. 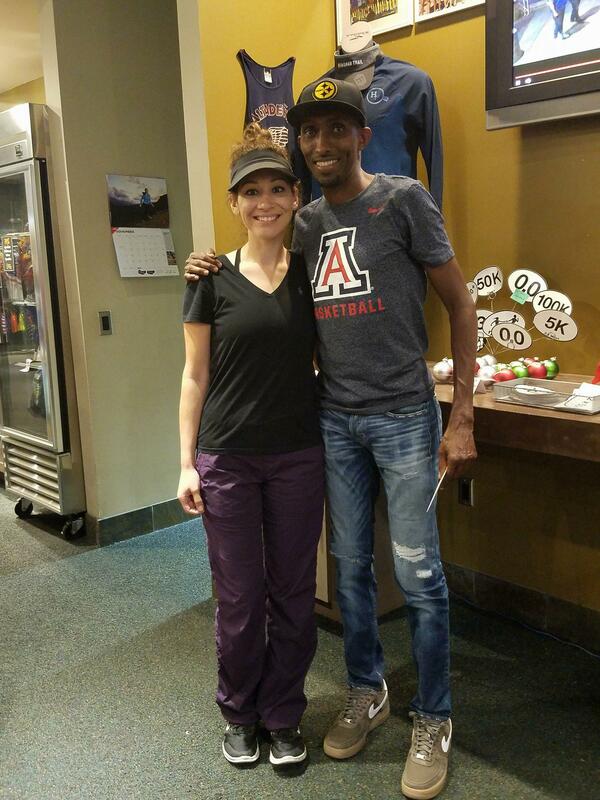 We always seem to run into the pros – Meb, Ryan Hall, Deena, Shalene, etc. etc. etc. We even had tacos with Deena!! I hope to make it out there for it!! It seems like it’s always close to Scottsdale Half which is my favorite half marathon here 😦 When is RnR Dallas? So excited that y’all are coming!!! That is pretty awesome. Such a great reminder of the potential our bodies have. There is so much time to continue to be stronger runners. Good for him! That’s cool! The closest I’ve came is seeing Deena Kastor speak at a fairly smallish half marathon I ran in Alabama. I knew she’s petite, but she was even tinier than I thought! I would LOVE to meet Deena Kastor!!! She’s every bit as nice and down-to-earth as a fellow runner would think she is. That’s awesome and so good to hear! How cool! I’ve met Jordan Hasay, does that count?